Flying for Food: The Airport Grille @ KEWB! Have you ever had a flight where you had to change your plans in midair, or on the ground at your destination airport? Whether it be for weather, mechanical issues or restaurant closures… Yes, that’s right, a restaurant that was not open when you arrived for a delicious dinner on a Sunday night. That is what happened to me a few Sunday’s ago on Nantucket. This flight was never meant to be a dinner flight to blog about… My dad and I were on our way to AK Diamonds on Nantucket, a restaurant I have already reviewed. Just goes to show how great it is…well…was. The true blue water of Buzzard’s Bay! Winds were tolerable, clouds building for a Monday storm, and traffic all over Southeast New England. Everyone was flying! After the winter we had, any opportunity to fly is a good one. We left 1B9 about 4:30 and a 15 knot tailwind gave us a quick flight over to ACK. To my surprise, after seeing AK Diamonds was open online, I walked up to the door and found that the entire restaurant was gutted to the bare support beams! No signs for an early close, seasonal or renovation. I should have called prior to making the flight to Nantucket, but relied on the website. Lesson to all pilots, double check the destination restaurant to see if it is worth the flight. Yes, Nantucket is always worth the flight, but when you are hungry, it is a different story! The Airport Grille overlooks the terminal ramp from below the control tower! At this point, a flight back would just bring us to eating dinner at home, but what is the fun in that… We decided that New Bedford is on our way back to 1B9, and I had never been to the Airport Grille. Matt had asked that I visit and review the Airport Grille, so I thought this would be a great opportunity to make that a reality! 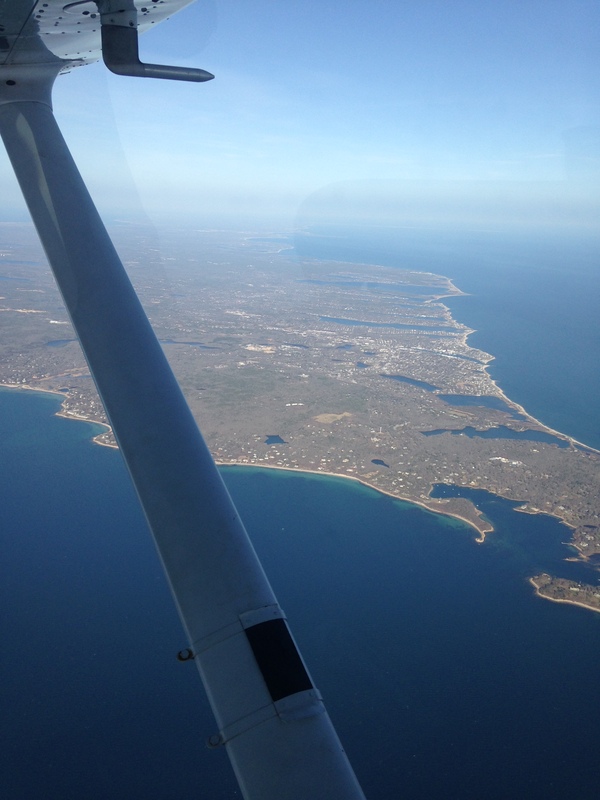 A dinner flight to New Bedford via Nantucket was our new plan. With the now headwind, we were able to take in the sunset over the water and the beaches below. New Bedford had winds gusting to 24 knots at our point of landing, jostling us a bit, but nothing unreasonable. We landed on their recently renovated runway 5/23 (which is beautiful! 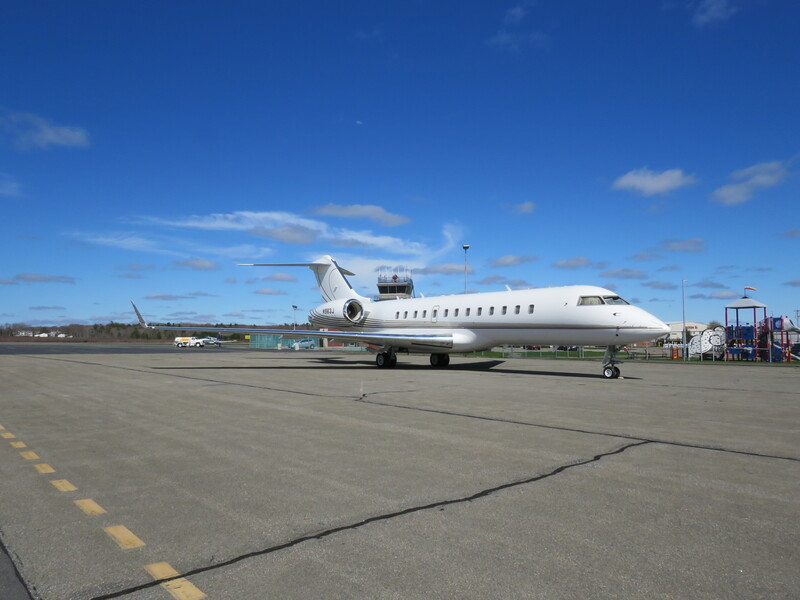 ), and taxied right off to parking by the playground. The Airport Grille at EWB is a very modern, upscale bistro. From fresh local seafood, to great steak selections or sandwiches, it has something for everyone. We sat at the bar and the windows right behind us overlooked the ramp, that evening with a couple of Cape Air planes parked for the evening! Perfect for any aviation enthusiast. It was very crowded on this particular Sunday night. I can imagine it can get fairly busy with airline passenger traffic too, especially in the summer. The bar tender was very friendly, and the manager also sparked conversation with the folks at the bar. The dress attire is nothing to worry about, as the upscale bistro can be a friendly place for anyone young and old, dressed to the nines or after a flight lesson. 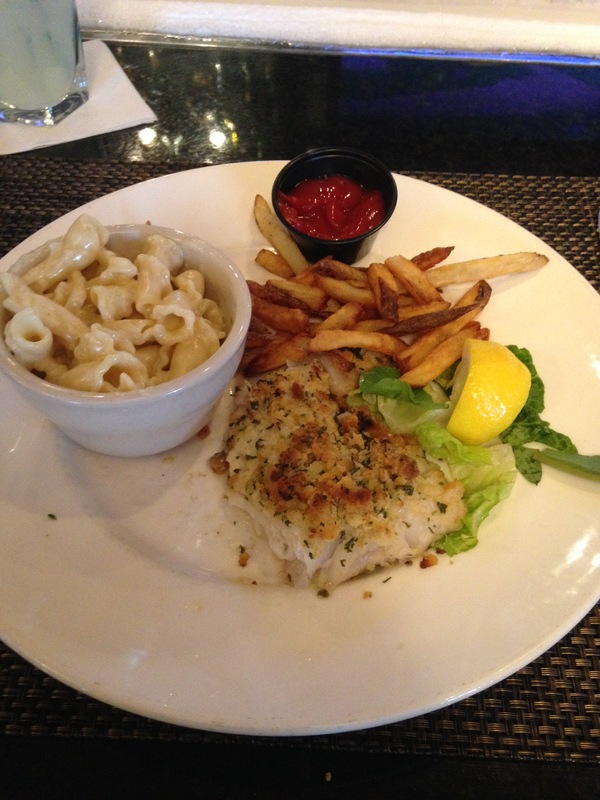 Baked haddock, a great meal, well themed in New Bedford, home of the biggest fishing port in the country! They serve lunch and dinner, with prices ranging from $8 sandwiches to $22 seafood. Nothing out of the ordinary, especially for local and homemade food. Their hours are 11:30am to 9:00pm Monday thru Thursday, 11:30am to 10:00pm Friday & Saturday and Sundays 11:30am to 9:00pm plus a new Sunday brunch offering from 10am to 3:00pm. The tower will park you appropriately when you tell them you are visiting the restaurant. It is easy in, easy out at EWB and it is a great place to get tower work done while you are at it, with a very friendly staff! Their multiple runways, commonly used at the same time to help facilitate traffic, make for a busy, yet exciting day. Take a flight down this summer and enjoy the food and company! Rumor has it the assistant airport manager (our editor Matt) is always willing to provide an airfield tour or at least show you around a little bit if he’s there. Plus, if you fly in and talk to Matt, you can usually pick up a New Bedford Regional Airport hat, just because you flew in to visit! Editor’s Note: Now that the weather has been improving we will be back to our last Saturday of the month airport restaurant reviews… Of course, the Airport Grille at my airport was first on the list for this year for 2 reasons: 1. It is GREAT and 2. It’s the restaurant at MY airport! Of course if that isn’t enough, if you fly to EWB and buy 20 gallons of fuel from one of the FBO’s (Colonial, Sandpiper or NorEast) you will receive a coupon for $5 off your meal (that day) at the Grille, this offer expires at the end of June, so try it out soon! 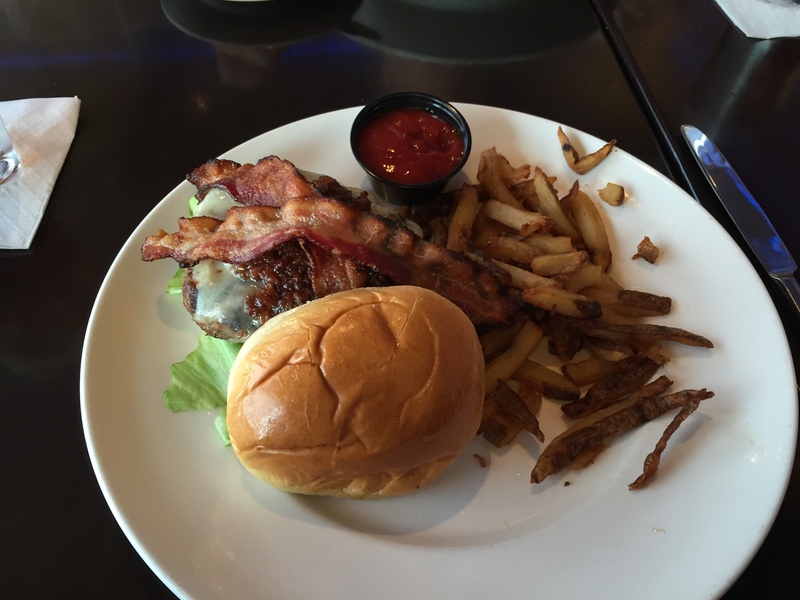 Matt’s favorite, the bacon cheese burger, always good! 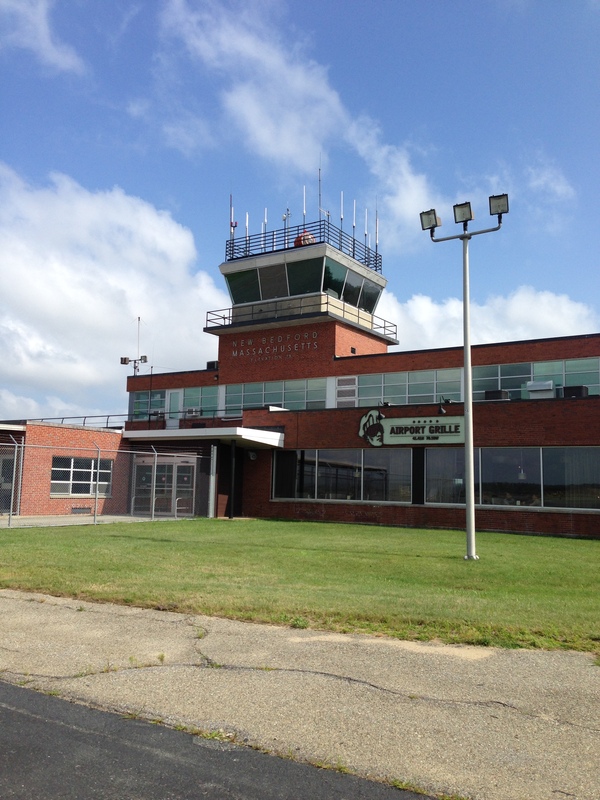 Editor’s Note 2: Following an hour-long scenic flight over Cape Cod, I enjoyed another great Airport Grille dinner last night (5/29/15). I opted for a cup of clam chowder (their chowder is fantastic!) and the fish & chips, and as you’d expect, it was awesome!